Fiona shouts: "Help! Somebody help!" Edward is a 60 year old man, who works as an architect. He is out shopping with his wife, Fiona, when he suddenly collapses outside a large pharmacy. He has no past medical history of note. 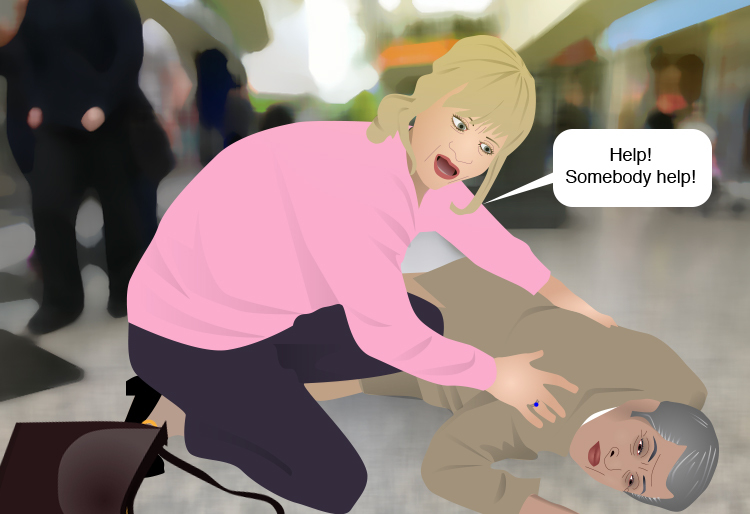 A member of the pharmacy shop staff arrives and, on realising that Edward has collapsed, organises for a colleague to telephone 999 while she goes to fetch the shop security guard, who is trained in CPR.